An alleged vehicle defect of the throttle caused a motorist to suffer personal injuries when the car rapidly decelerated without warning, according to a proposed class action lawsuit filed in a federal court in California recently. The lawsuit further asserts the auto manufacturer, Ford, was aware of this defect for years and failed to warn consumers about it. Plaintiff asserts that the defective electronic throttle body control systems decelerate both suddenly and unintentionally, causing a potentially fatal error. The design flaw allegedly extends not just to the 2012 Ford Explorer, which is what plaintiff was driving at the time of this reported incident, but also to other models of Ford, Lincoln and Mercury vehicles. Rather than own the error and make consumers aware of it, plaintiff says, defendant manufacturer has publicly downplayed the potential danger and has refused to offer to fix the alleged defect or to reimburse vehicle owners for the cost of necessary repairs. In her complaint, plaintiff alleges she was operating her sport utility vehicle in 2014 on the interstate last summer when the vehicle suddenly and without warning slowed down. The issue happened two other times since then. The lawsuit asserts that this same problem has been reported to the manufacturer by several others consumers and concerning a number of other vehicles it produces. Among those other models are the Lincoln MKZ and MKT and Ford’s Mustang, F-150 and Taurus. For those who may not be familiar with vehicle manufacturing, the electronic throttle control is a device that electronically connects the accelerator pedal to the throttle and controls airflow to the vehicle’s engine. If the control doesn’t function the right way, then electronic signals regarding the vehicle’s throttle position could be misread, which in turn cause the car to decelerate unintentionally. This is what plaintiff alleges is happening. Defendant manufacturer has allegedly sold vehicles with this problem since model year 2009, and has been aware of the issue since shortly after that model year fleet was sold. In fact, there have been investigations by state regulators with the North Carolina Consumers Council, as well as national safety regulators with the National Highway Traffic Safety Administration. Further, there have reportedly been tens of thousands of complaints made both online and directly to the company and its dealerships. In spite of addressing these complaints by making consumers aware of them and drafting some type of prompt fix, plaintiff claims the manufacturer has stayed silent and worse, continued to produce defective vehicles. Although the manufacturer did initiate a customer satisfaction program that partially addressed the issue, plaintiff insists this didn’t go far enough because it only covered some of the affected models, while leaving other owners to believe their vehicles were safe when in fact they were not. 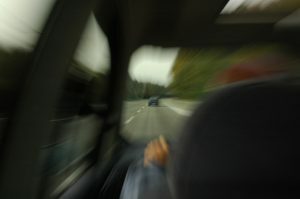 What’s more, the company has been silent on what drivers should do if they are behind the wheel of a car that suddenly decelerates. Plaintiff alleges this amounts to protecting the company’s bottom line (by avoiding a concession that the vehicles may be defective) over providing consumers with potentially life-saving information. Plaintiff seeks class action for the lawsuit, which has been filed in the U.S. District Court for the Southern District of California.